The most worrying thing about plastic pollution is the fact that it was so much discussed and talked about that people have become indifferent to it. If we do not take care of plastic waste properly, we end up drinking it one way or the other. For example, landfills are full of hazardous chemicals that go deeper and deeper into the ground every time it rains. Plastic interacts with water and creates Styrene Trimer, Bisphenol A, and a by-product of Polystyrene, among the others, which are extremely harmful to our health. Bisphenol A is known to affect the animals’ reproductive systems, and it makes one wonder whether humans are susceptible to it, too. Normally, floods are associated with huge rainfalls, but one fact is always conveniently left out in order for human consciousness to be left intact. Even though heavy downpours and huge storms are usually to blame, there are plenty of occasions when water damage and flood victims could have been avoided if people hadn’t been throwing away plastic rubbish. All those plastic bags, bottles and other objects eventually end up in canals, water reservoirs and drain. After some time, they become partially or completely clogged and can’t deal with a huge surge of water, thus increasing risks of causing great material damage and even losing lives. Needless to say, whenever water is prevented from flowing as it is supposed to, pools are forming and with the perfect conditions for swarming of mosquitoes and other insects. A big concentration of mosquitoes is commonly connected to spreading diseases. What is more, the latest research proves some mosquito larvae feed on plastic that was thrown away. Once the animals from a higher spot in the food chain eat them (even as adult insects), they get microplastic into their bodies. China has admitted that 19% of its agricultural land is polluted. Australia, too, has declared that around 80,000 sites are classified as contaminated. The detrimental effects of plastic on soil are not that well explored compared to marine and water contamination, mostly because it is through land that plastic and its particles end up in water, or the plastic objects are blown away by the wind into seas, oceans and rivers. Nevertheless, it could be rightfully said that having plastic in soil is not good for plants nor the animals since it obstructs their development. If the crops are in a poor state, so is our diet, isn’t it? Not to mention the effects on the economy. We should be reminded that most of this planet is water and that the majority of it is in oceans and seas. Hence, marine pollution equals pollution of the biggest part of planet Earth. Shockingly, between 10 and 20 million tons of plastic waste get into the oceans one way or the other. What is especially worrying is the emergence of the before mentioned microplastics. These particles end up in stomachs of fish and other creatures, all the way to our stomachs. Imagine plastic and its chemicals going through your veins – not a very nice picture, is it? 100 million – that is the number of deaths of marine animals due to plastic debris. As we have already mentioned, most of it comes from the land areas. Unfortunately, there are many ways sea creatures die owing to plastic. For example, the majority eats it. The pollutant gets stuck in their stomach, preventing them from eating food. The same happens on land, too, since animals mistake the material for something edible, especially when eating from rubbish bins. Also, a lot of species get tangled into plastic waste and die soon enough. So, what are we to do when the situation is this grave? Here are a couple of ways to tackle ongoing issues. As perfect as it is, nature has already started to take care of itself. Amazingly, such excess of plastic waste seems to have triggered a new enzyme in bacteria – a plastic-dissolving one. Scientists have discovered the so-called plastic-eating bacteria which could do wonders for the oceans. This interesting type of bacteria could solve the problem of water pollution for good. However, it’s doubtful should people interfere with it and try to spread it into different ecosystems. As we have witnessed in the past, a lot of (un)intentional human attempts to introduce new species to habitats have ended badly for the existing species. Another answer could be sustainable packaging. Nowadays there are materials which can be recycled easily, or they disintegrate more quickly than plastic (the latter isn’t that difficult, is it). Nevertheless, even though we have plenty of options, we still have to get used to applying them. This does not imply only the consumers, who should prioritise products in sustainable packaging while shopping, but manufacturers and their engineers, too. It’s a lengthy process, but it’s definitely worthwhile, and sooner or later the market will recognize the old types of plastic packaging as obsolete. Raising awareness about the detrimental effects of plastic waste is perhaps one of the biggest things we can do. 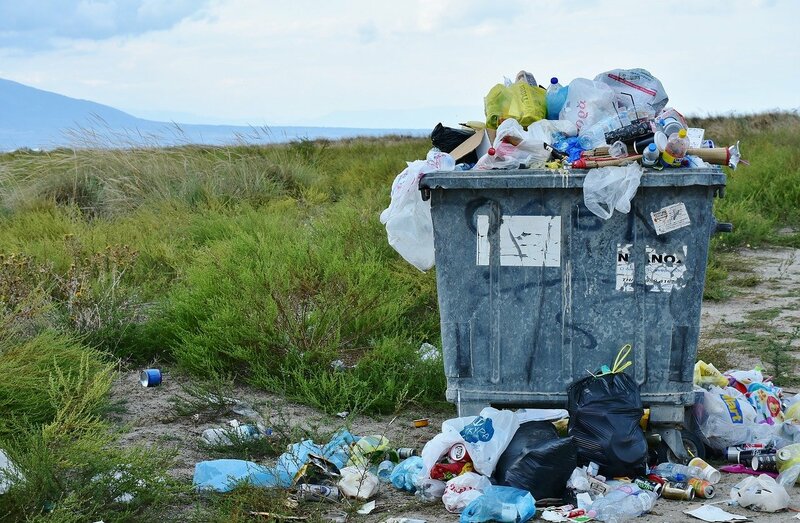 Considering the amount of plastic rubbish an average consumer produces, it would be best if every and each one of use invested some time into reusing and recycling. Even simple acts such as taking your own bag to carry the groceries is a huge deal when done consistently. The Kiwis have thought of a great alternative for plastic shopping bags – Maori woven flax bags are both durable and reusable. Furthermore, when you’re done with it, you can simply bury it to decompose into the soil. In addition, the government should certainly do their share in encouraging green practices by supporting environmentally friendly behaviour and introducing stricter penalties for offences against nature. The battle against plastic pollution is a never-ending one since we are constantly producing harmful material. However, in no case is this a lost cause. There are plenty of ways to diminish the waste, and if every person does their part, the world can be changed for the better. Otherwise, it won’t be only land, water and animals that are poisoned with plastic, but us, too. Cristine Felt is a tech mom and ex-nurse that likes blogging about different topics. Spent 10 years working as a healthcare software developer in Memphis, TN and hoping to become a health journalist in the near future. You can find her online, tweeting about health, or at home preparing a nutritious meal for her family.